You think that you need a motivational speaker to get yourself motivated? Jeff Haden is here to burst your bubble: you believe in a myth, he says. 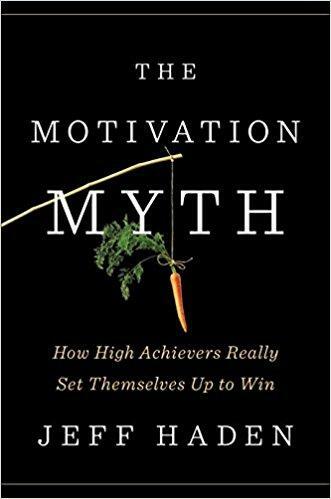 Who Should Read “The Motivation Myth”? And Why? If you are a fan of books on motivation, then be sure to check Haden’s book out for quite a few counterintuitive advices. The most important among them: motivation is not merely the precondition for success; it’s also its result; and it’s not that easy to separate the two as most of the other books do. Jeff Haden is an American journalist, one of the most popular columnists at Inc.com, where he is also a contributing editor. Even so, The Motivation Myth is his first book; previously, he has written a few more but only as a ghostwriter. Quick: what do the Philadelphia 76ers and Jeff Haden have in common? Of course it’s not funny! But that’s only because you haven’t read The Motivation Myth. If we are forced to summarize it in one word, then “process” is definitely the one we’ll choose. As Jeff Haden explains in the “Introduction,” the difference between successful/happy people and the rest of us is because the former understand both success and happiness as processes, not moments. But let’s see how this process works in Jeff Haden’s understanding. Haden begins his book by taking a swipe at Tony Robbins’ extremely popular book, Unleash the Power Within. It sure sounds great – and not only because it reminds us of one of our favorite The Office moments. After all, fire-walking should give you confidence and motivation – just enough to awake that sleeping giant of potential within you. Simply put, motivation is never something that can be initiated via a one-off event; and even fire-walking is just that. You need much more than that to get motivated. Fire-walking or a great motivational speech rile you up for a few hours, but you wake up the next day no different than the day before. Most people are confused about the source of motivation. They think motivation is the spark that automatically produces lasting eagerness to do hard work; the greater the motivation, the more effort you’re willing to put in. Actually, motivation is a result. Motivation is the pride you take in work you have already done—which fuels your willingness to do even more. In a nutshell, motivation stems from success and fuels more success; consequently, the only thing you need to succeed is just one small victory to get a head start. Then – just follow the loop. If you want to reach a goal, you shouldn’t focus on reaching it. You should set it alright, but one of the worst mistakes you can do is keeping your goal in mind all the time; that’s discouraging. And it has countereffects: it stimulates you to live much more in your dreamworld than in reality; and you need to do some work in your real life if you want to reach your goals while you’re alive. Say that you want to earn a few more friends; set that goal and now forget about it for it will work against you. 7. Don’t dwell on the past. Where your process is concerned, you don’t get to choose what you want to do. You get to choose your goal—but after that, what you want to do is irrelevant. What matters is what you need to do to achieve your goal. You can’t have dessert with every meal and lose weight. How to create a successful process? 8. Your results may vary, so adapt accordingly. 12. Check off each step in the process. In the fourth chapter of his book, Haden teaches his readers how to choose an appropriate goal and why choosing the right one can transform you into a serial achiever. That’s why the best goals are usually the ones which solve your current problems; and they all fit well within Maslow’s pyramid. Everything else will make you unhappy; you can’t climb Mount Kilimanjaro if your physical condition doesn’t allow you to do that; you need to set another goal before that one: getting back into shape. Most of the books you’ve read about motivation and accomplishing your goals are Secret-like: just imagine your goal and the whole universe will work in your favor. You don’t need Haden to tell you that this would never work. For the simple reason that, if everyone does that, then how will everybody’s wish come true? Time for a few more plans: one which will help you have the most productive day ever, another the most productive week in your life, and a third one the most productive mindset ever. And a fourth one to explain the title of the chapter. 9. Don’t stop until you’re done—even if finishing takes longer than expected. 10. Start every day right. Since Kelleher’s plan was to achieve exactly that, then this is the only question which matters. If the answer is yes – then do it; if the answer is no – then don’t do it. Chapter 6: Why Work Smarter When You Can Work Your Number? With Morten Hansen’s seven “work smart” practices, you can achieve more with less of an effort. Haden is not even interested in giving you that option: we learn through trial and error, and you need to be aware whenever you start doing something that there’s always the risk that you’ll fail. However, the more you fail, the higher the chance that you’ll succeed. You miss 100% of the shots you don’t make, said once Wayne Gretzky. Well, that’s one of the greatest lessons you’ll ever learn in your life. Despite the title, Jeff Haden shares much the same opinion. What he doesn’t like – and doesn’t suggest you to get – are motivational coaches. You need someone who is experienced in an area and who knows what you are doing; not someone whose only expertise is to brand motivation-practices which work for nobody. Pick your pro/coach based on your goal; not based on the number of books he/she has sold or the number of people who say they’ve been motivated by him/her. And once you do choose your pro – connect with him; sooner or later, you’ll start becoming him. Doing more doesn’t mean accepting everything that’s on the table; more often than not, it means saying “no;” that’s what’s hidden beneath the somewhat paradoxical title of this chapter. Doing more is a process which starts with eliminating everything that you don’t need to do. Whether it’s a permission, report, or sign-off – one should do it. Then “fire” one of your friends: Jim Rohn says that you are the average of the five people you spend most of your time with. Next, move on to cutting one expense and dropping one personal commitment. After you manage to streamline your lunch and do away with a full category of decisions, suddenly you’ll feel a lot freer. 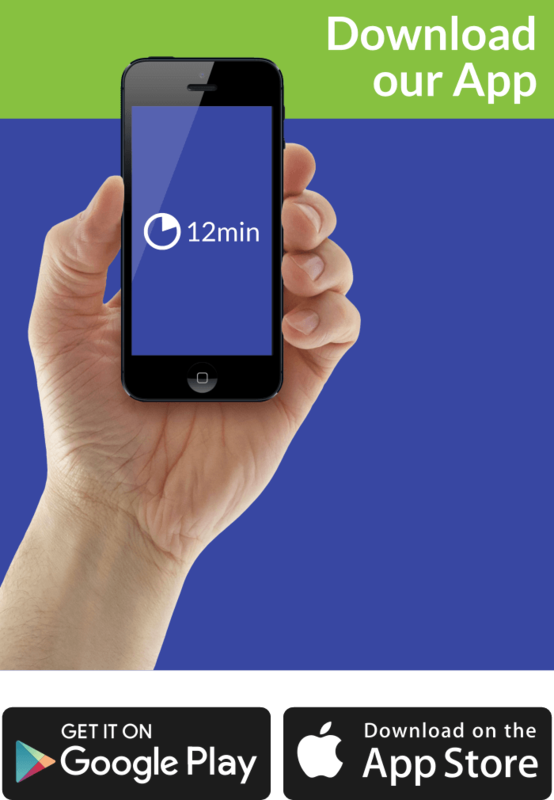 Because – one plus one plus one… well, you get the point. The bottom line is what ‘The Motivation Myth’ is all about: getting past the fluff and puff and fire walks and achieving the goals you want to achieve. Like most bottom lines, this one is clean and simple. Don’t tell me your goals. Don’t tell me your dreams. And don’t be afraid to dream big, because now you know how to plan big. And never, ever forget that even the most successful people started out just like you. They’ll tell you that you need to watch motivation videos to inspire yourself; they’ll tell you that it’s a nice idea to do something akin to walking on fire to tap into the potential you naturally have. What they don’t tell you is that motivation is much more than a one-off event: it’s a result; it’s, even more, a stream of results; and success is a process. You don’t get motivated because you’ve done something or heard something once; the next day you wake up feeling no different. You get motivated because you do something continually. The only thing you need to start? And then he went on: “I miss the hours spent alone and suffering and working to get to the point where I could win. I loved the process. I loved all the thinking, all the collaborating, all the planning and effort and working with great people. I feel like I got paid to do the races, meet sponsor obligations… That’s what they paid me for. I would have trained for free. And that’s the main point of Haden’s book: becoming feels wonderful because you’ve earned it. The Motivation Myth will undoubtedly help you muddle through. In a witty, engaging and practical manner.